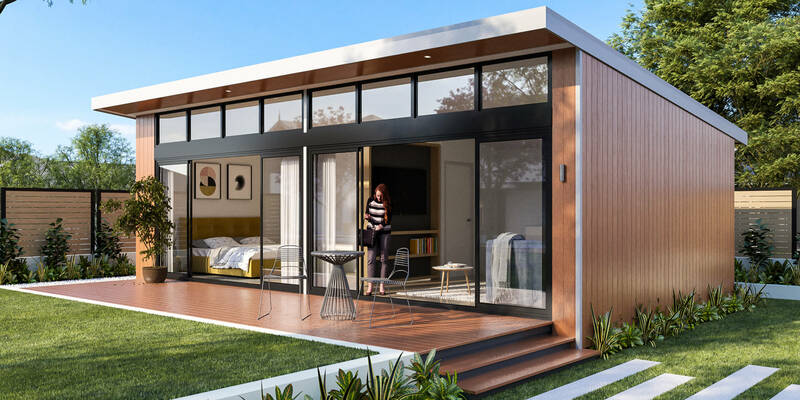 From Hybrid Homes comes The Azure. 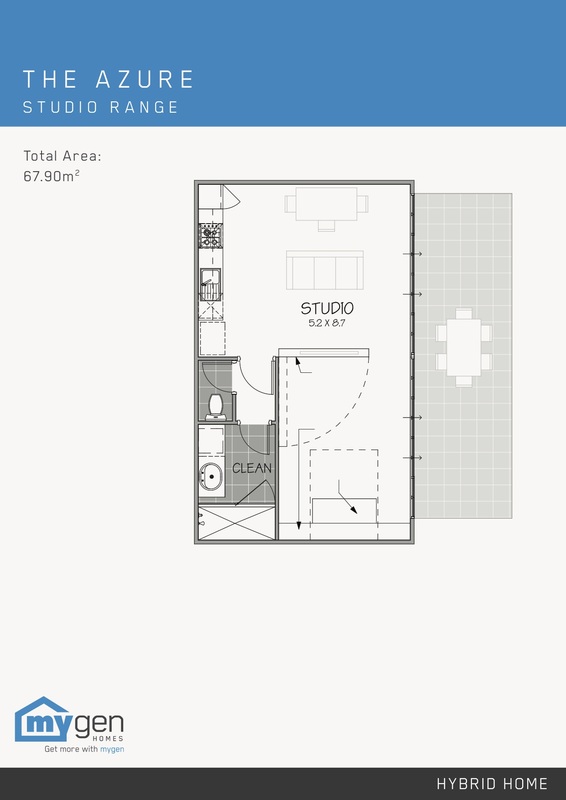 A studio space, equipped with a kitchen, living and dining area, bedroom, bathroom and alfresco. This multi-purpose, modern space is the perfect extension to any existing home. Utilising innovative design philosophies, this mixed material Hybrid Home is good for the environment and the bank account. Designed with innovative, mixed materials, means this environmentally friendly studio has an almost unbelievably short build time.